Gluten-free gourmands travelling to Bologna in Italy can expect to come home with quite a few pasta sauce stains. You might see some furrowed brows from friends who are confused about why a gluten-free traveller might be so excited to visit the spiritual home of spaghetti bolognese, but your widened waistline upon returning home should be enough to convince them otherwise. Because gluten-free eating in Italy rocks. This much we know: Italy loves pasta. Italy loves pasta so much it's practically a human right. And that means no one misses out, including those who eat gluten-free. With children routinely tested for coeliac disease, Italy has good reason to make a fine art out of gluten-free food. So gluten-free pastas are easy to find (in restaurants, supermarkets and health food shops) and naturally gluten-free food abounds, meaning that even where an eatery doesn't have a direct substitute, they'll know exactly what you can eat. No room for secondi. 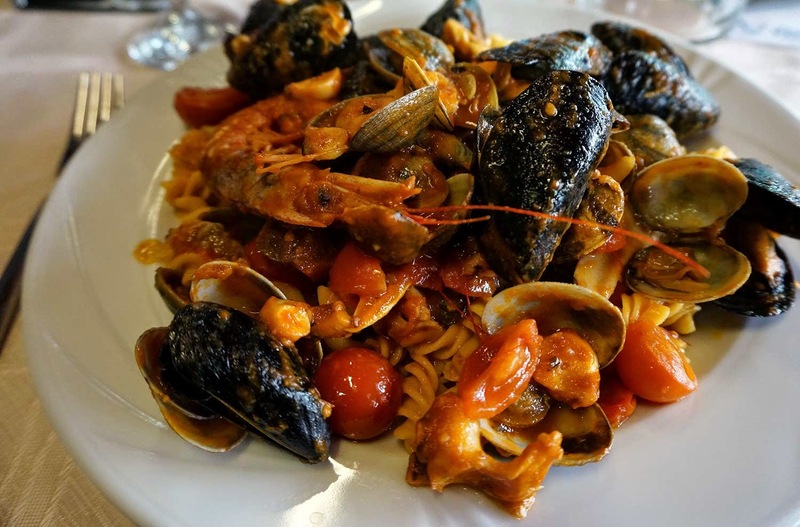 Seafood and cherry tomato gluten-free pasta at Ristorante Victoria. And then there was the ham. Window displays were crowded with enormous legs of the stuff, and restaurants served prosciutto di Parma by the plateful, either au naturel or draped seductively over slices of melon. 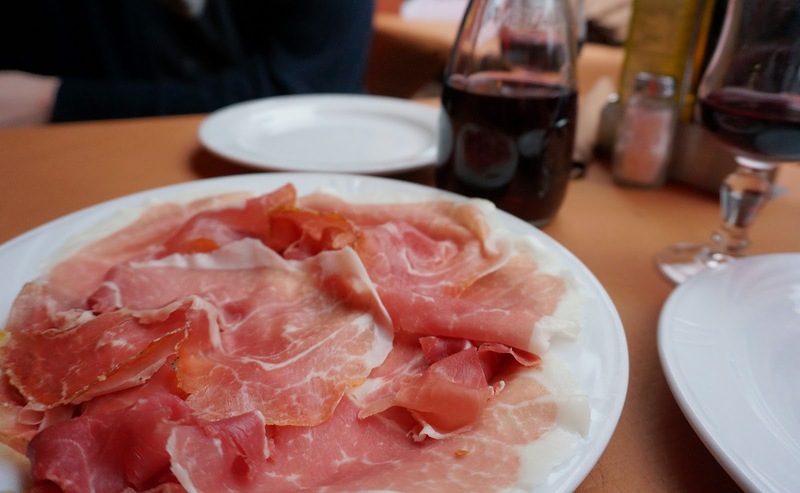 Ordering an enormous plate of freshly shaved ham to nibble with your wine, with no accompaniment other than (maybe) a few slivers of muskily fragrant parmigiano cheese, was a decadence repeated too often for me to admit. One of many, many, many plates of Parma ham, washed down with red wine. Seriously, there's meant to be melon under this one. But I can't see it, because of ALL. THAT. HAM. Pizza is another Italian classic you needn't do without, although a little more planning is needed to find the gluten-free holy grail. The Wheaty Eater breezily insisted that we'd have to find a pizza before we left Bologna, only to realise it was a bit tougher than finding gluten-free pasta. But there were a couple of options, namely the gluten-free wonderland that is La Panthera Rosa, where gluten-free ravioli, gnocchi and pizzas are all made in house. My next gluten-free Italy adventures, later in the year, will be in Naples and Sicily. Will they be as good as Bologna? My stomach is already rumbling to find out. So where do you start? Here are my top four picks for any gluten-free traveller wishing to add a few notches to their belt on a trip to Bologna. 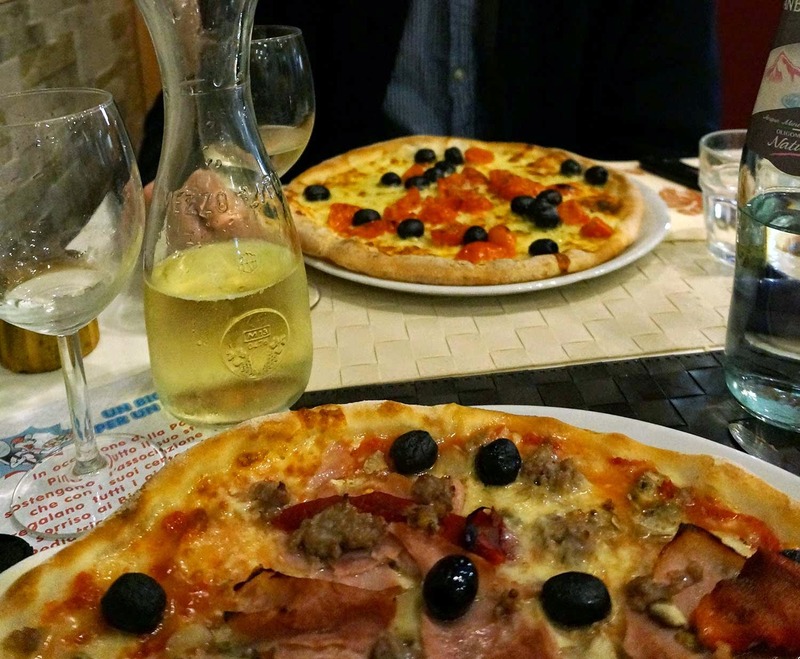 La Panthera Rosa: gluten-free pizza (as well as pastas, fried breads, ravioli and gnocchi) all of exceptional quality in a jovial family-friendly atmosphere. My only regret, after polishing off spinach and ricotta stuffed tortellini and unholy amounts of pizza, was that I was so full I needed to split my creme caramel pudding with Wheaty. Franco Rossi: this upmarket gem has the knowledgeable sommelier and gourmet menu of your wildest Italian fantasies. But aside from the impeccable service and nostalgic ambiance, what stole my heart was the gluten-free tagliatelle with clams, and a precarious stack of beef and baked parmesan, littered raunchily with rocket leaves. Outstanding. 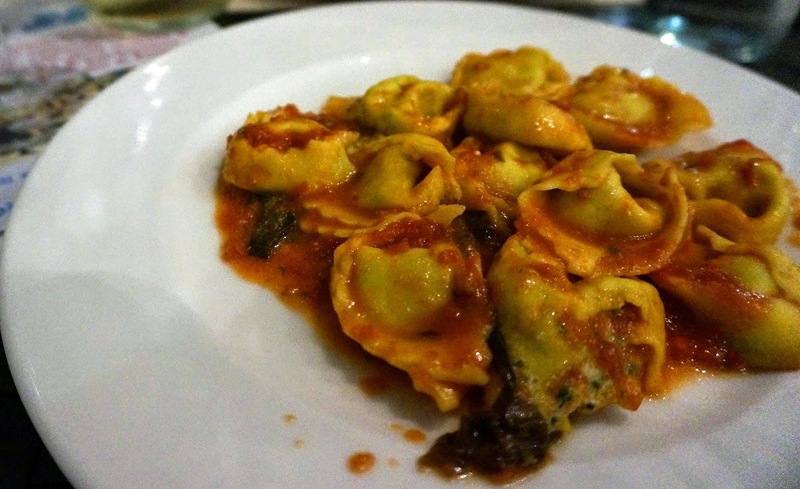 Trattoria dal Biassanot: maybe it was luck, but when we stumbled on this bustling trattoria we were told that certo (of course) they could provide gluten-free pasta. This was where I tried my first authentic ragu (better known to most palates as bolognese sauce). Accompanied with generous glugs of Sangiovese wine and lip-smackingly salty Parma ham, it was a gut-busting lunch to savour. Ristorante Victoria: despite the tourist trap vibe, the gluten-free-friendly staff and gigantic portions make this place a worthy lunch pitstop. Waiting staff were careful to signpost me as celiaca (a coeliac) to the chef, knew exactly what to put on my plate, and the restaurant can substitute gluten-free pasta into all of their pasta dishes. The seafood pasta was so enormous that Wheaty looked a little like he might weep from jealousy. Saying "sono celiaco" (if you're male) or "sono celiaca" (if you're female) will go a long way in restaurants, or use the phrase "senza glutine" (gluten-free). But you might want to boost your restaurant confidence with Italian language cards when ordering food too. This great post on gluten-free living in Italy by Legal Nomads made me sigh with recognition, and drool over the food photos. 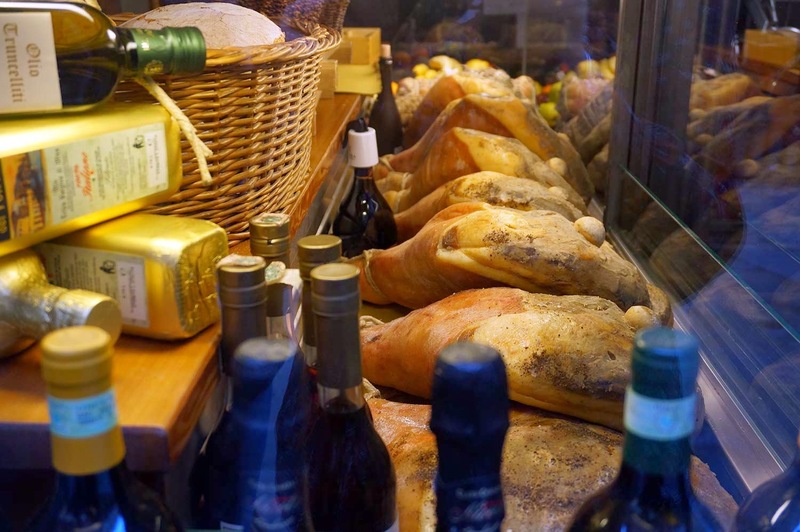 And these gluten-free Italy stories from Glutenfreegirl have highs, lows and so much salumi.